Just got a copy of The Scythe and the Rabbit (Simon de Colines and the Culture of the Book in Renaissance Paris) by Kay Amert, with an introduction by Robert Bringhurst (HERE). In addition to the great introduction, essays and details analysis, the book is beautifully designed and typeset in DF Rialto, designed by Giovanni di Faccio & Lui Karner in 1999 (HERE). Below the frontispeice of Horae in laudem beatiss. 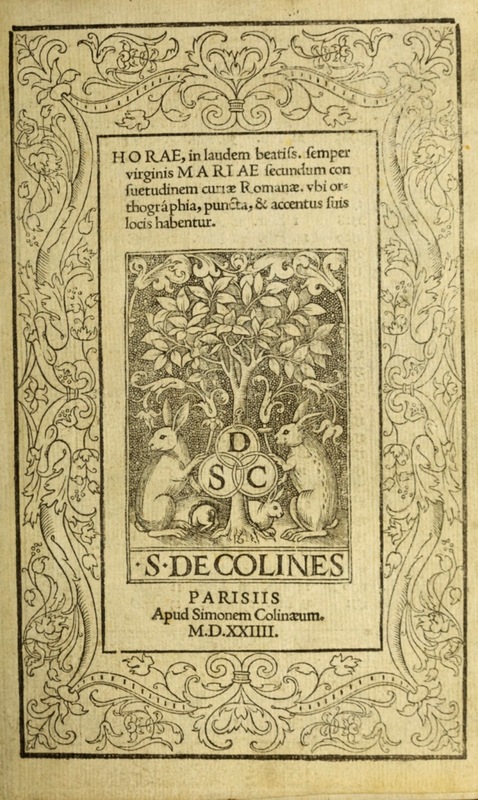 semper virginis Mariae, published by Simon de Colines in Paris in 1525 from HERE.